Once again the sun Gods shone for us. Frampton Court Estate was a new ground to us this season, a beautiful polo ground, with the lake to one side and the Big House on the other. 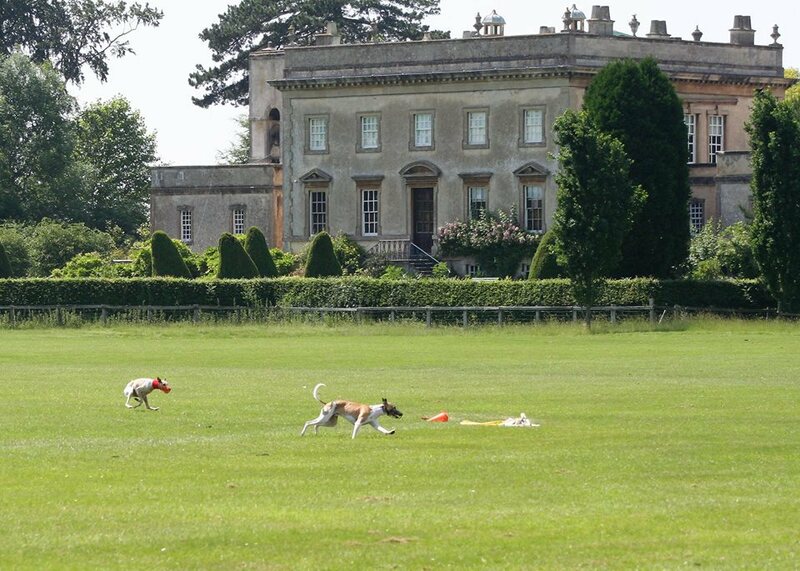 However, due to sharing the venue with a wedding party there were various constraints, includind cars having to park a little distance from the running, which on the one hand was perfect for keeping dogs relaxed rather than permanantly hyped, but on the other made it very difficult to get dogs into Slips in good time. 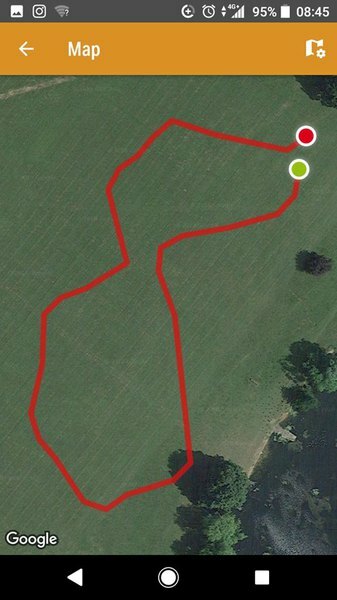 We were also restricted to using only the part of the ground furthest from the house, which meant shorter courses than usual. 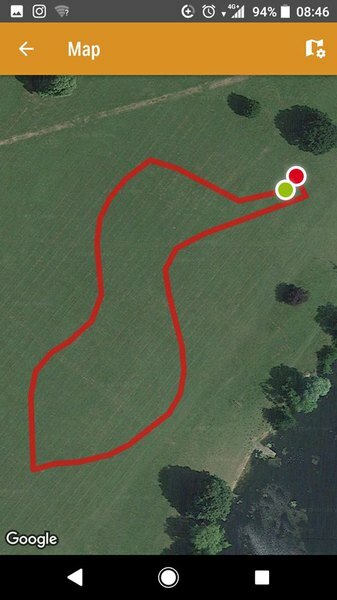 I experimented using a walking app on my phone, which I then put on the quad when it was laying the courses. Below you can see the rough layouts. 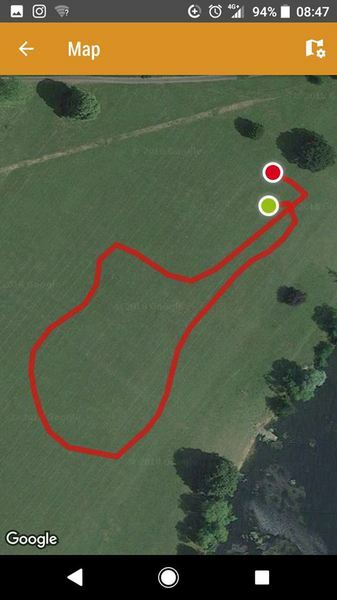 All the courses were around 545 yards. We had a large entry of with 54 dogs on the card making 9 stakes. Among those we welcomed back from long absences Margaret with Chester, and Gaynor, Lee and Layla with their Lavebellas. We also had 8 triallers, including Nutmeg, Monty and Razz who all successfully cleared and we look forward to seeing in competition soon. 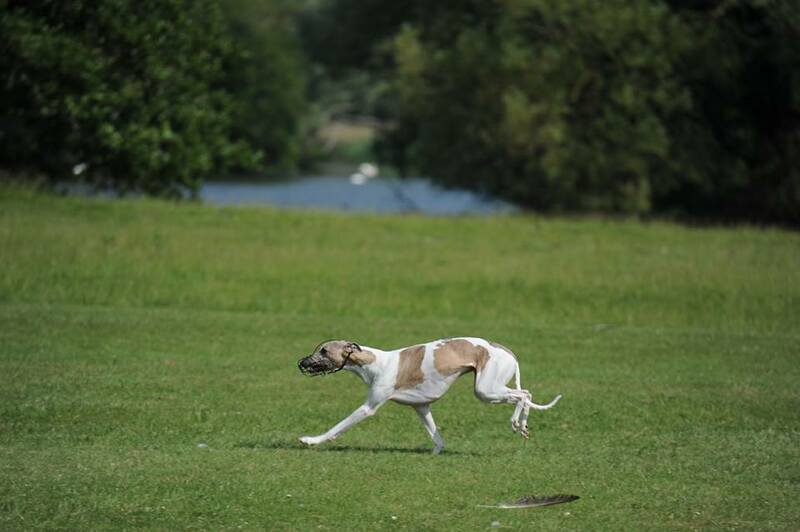 Please wish lots of luck to all our little athletes competing at the European Lure Coursing Championships in Denmark later this month. May they all come back safe and ready to run at our next meeting in Wootton Bassett 15th July!